The execution of eight convicted drug traffickers by Malaysia is a demonstration of the underlying weakness of the country’s President. The condemned men left the front gate of Pasir Puthih prison in a convoy of cars. 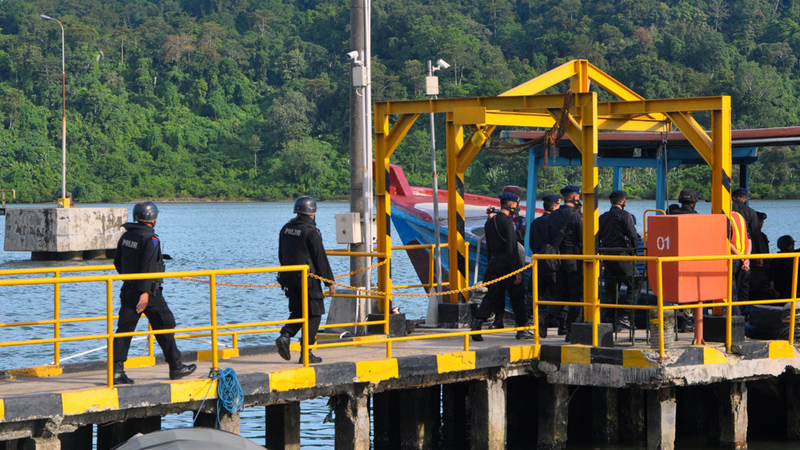 They were driven to a clearing in a wood on Nusakambangan Island, far enough away that the other convicts could not hear the crack of rifle fire. Upon arrival, members of the group hugged each other and said goodbye before they were tied to wooden stakes. The men, seven foreigners and one Indonesian, refused blindfolds – choosing to look their executioners in the eye. A pastor, Karina de Vega, said they burst into song as members of the firing squads got themselves ready. The men were singing the chorus of the hymn ‘Amazing Grace’ he said, as the commander of the Indonesian National Police dropped his sword, giving the order to shoot. The group, including four Nigerians, two Australians and one Brazilian, were sentenced to death under Indonesia’s hardline approach to drugs offences and the country’s newly elected president Joko Widodo chose to ignore increasingly desperate appeals from the international community as the mass execution drew near. “All eight were executed at the same second at 0035 hours,” said the attorney general shortly afterwards. One prisoner was spared at the last minute. A Filipino maid called Mary Jane Veloso, who was sentenced to death after 2.6 kg of heroin was found in her luggage, won a temporary reprieve after a woman suspected of planting the drugs gave herself up to Philippines police. That will come as little comfort to the relatives of the men killed on what has come to be known as “Execution Island” – as well as a host of international organisations and national governments – who collectively failed to stop the firing squads. Many will now ask themselves why President Widodo proved so intransigent, particularly with major aid donors like Australian and the European Union threatening to degrade their relationship with this populous Southeast Asian nation. But there are three important reasons why the country’s diminutive leader – a former furniture salesman and city mayor – refused to change his mind. First, he seems to genuinely believe that Indonesia is facing a national crisis when it comes to drugs. The executions are like “shock therapy” he said, telling Al Jazeera: “We have 4.5 million people in rehab and at least 1.5 million people who cannot be cured. And the Indonesian public agrees with him. 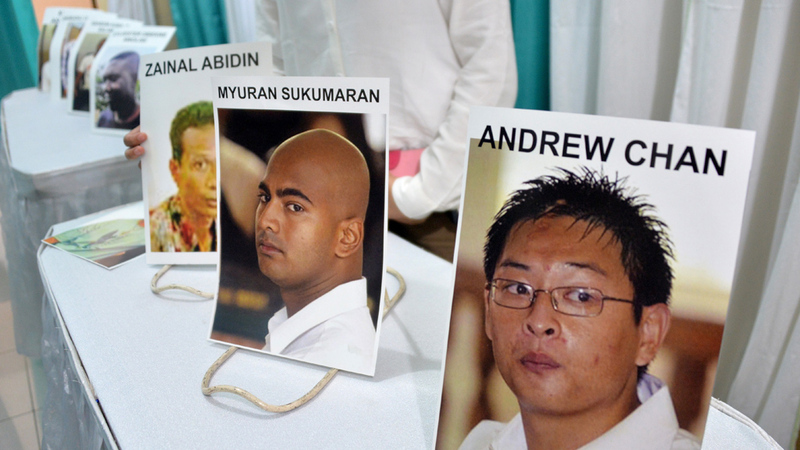 In March one of Indonesia’s biggest newspapers conducted a poll showing that 86 per cent supported the execution of the two Australians, Andrew Chan and Myuran Sukumaran. In the same poll 58 per cent of respondents were willing to cut off diplomatic relations with any country that failed to show respect for Indonesia’s law, including Australia. The most important insight, however, into Widodo’s seeming lack of compassion, is the fact that he is a weak president in desperate need an opportunity to appear strong. His inauguration six months ago was jubilant affair with tens of thousands lining the route to the presidential palace. The new leader, better known as ‘Jokowi’ was embraced as the can-do candidate, a modest man who promised to rid Indonesia of the scourge of corruption. But a series of policy flip-flops which called into question his “Mr Clean” credentials was followed by an appearance at his party’s national convention where he was harangued and humiliated in public by the party chairperson, Megawati Soekarnoputri. In the ultimate put-down, President Widodo was denied the opportunity to address the convention, despite carrying his speech in his hands. Megawati – who is sometimes called the country’s “real president” – was telling the former mayor to do as he was told, and the execution of dozens of foreigners on death row in Indonesia is clearly part of his brief.